The Samsung Galaxy Fold, which will launch a new era in the smartphone industry, was recorded once more while running. 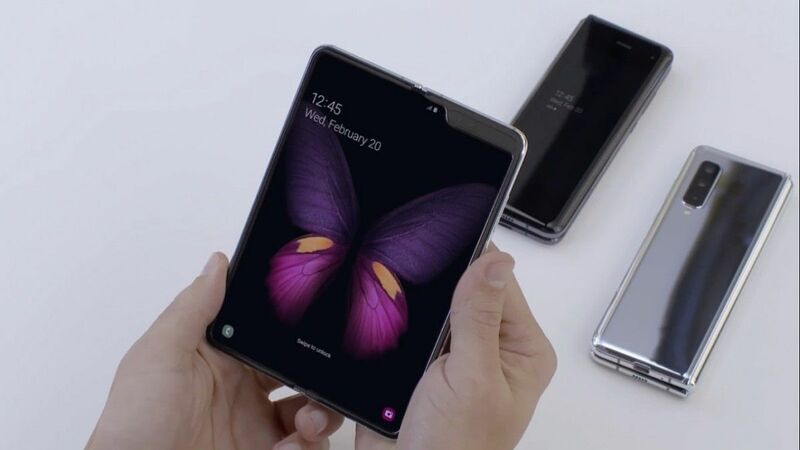 South Korean technology giant Samsung launched the company’s first foldable smartphone Galaxy Fold on February 20th. The Galaxy Fold is still not on sale, although it has been around 2 months. For this reason, there is no definitive interpretation of the device in daily life. A YouTube channel called Vano Mitzkalitze seems to be able to provide the Galaxy Fold early on. The Galaxy Fold, which is in operation, can successfully implement almost all of Samsung’s promised features in the video. There is no problem in the transitions between the main and the second display of the device. Samsung introduced the Galaxy Fold as a mobile phone with a large high-screen display. In other words, the Galaxy Fold will offer advanced video playback and gaming features, such as a tablet, with its 7.3-inch gigantic display, as well as a 4.6-inch second screen that will enable one-handed operation on public transportation or on foot. As far as we know from the video of Vano Mitzkalitze, the Galaxy Fold can do almost everything it promises in terms of functionality. However, the design of the device looks more like a prototype than a final design. Especially when you open the main screen, the fold mark that appears in the middle can be very uncomfortable for the design users.